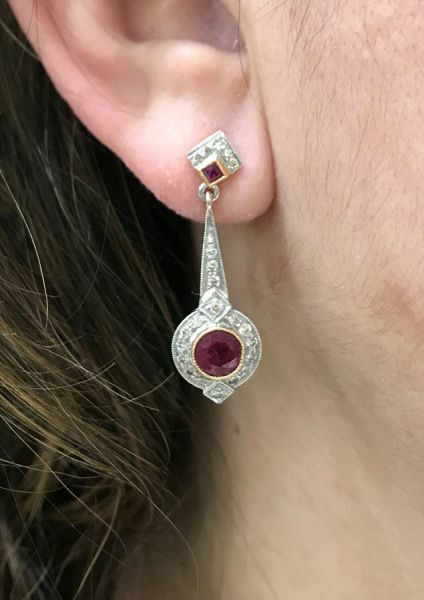 A stunning pair of Art Deco Inspired 18kt rose gold and rhodium plated earrings, with 2 round facetted cut deep pinkish red rubies, est. 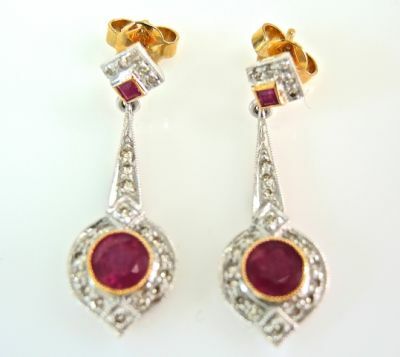 2.20ct and 2 square cut deep pinkish rubies, est. 0.18ct and 44 round brilliant cut diamonds, est. 0.58ct (clarity:VS-SI & K-L-M colour).